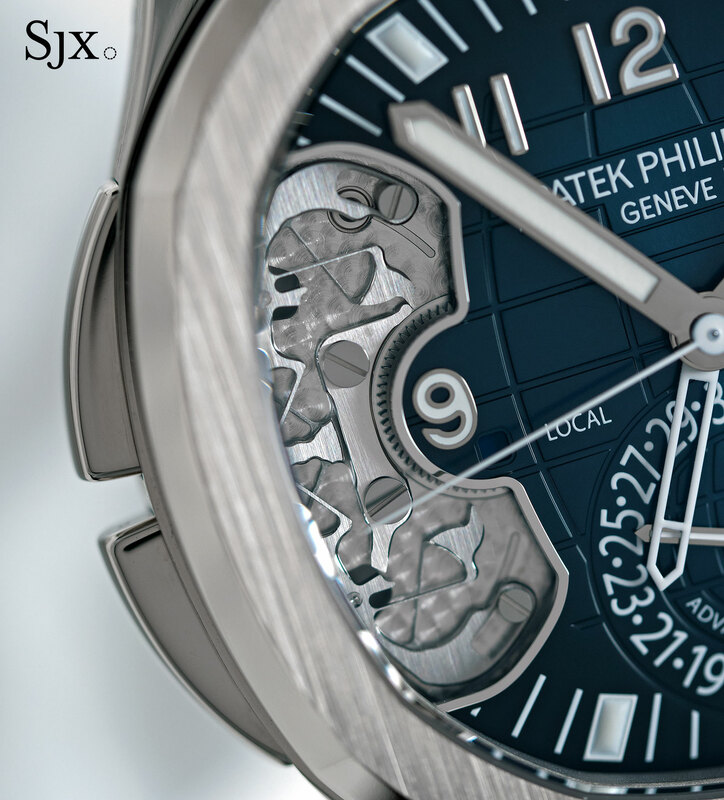 Up close with Patek Philippe's high-tech wristwatch, an industry first with a compliant mechanism. 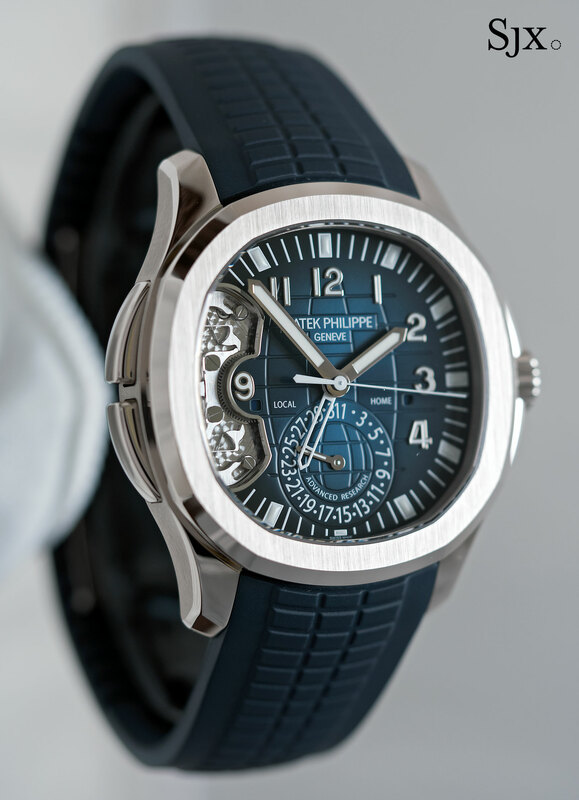 Patek Philippe’s most significant new launch at Baselworld 2017 did not boast its most complicated movement or a new case style, but rather the latest Advanced Research calibre with a redesigned silicon hairspring, and more significantly, a compliant mechanism for the second time zone. The Aquanaut Travel Time ref. 5650 Advanced Research is the first wristwatch to utilise a compliant mechanism time in watchmaking, making it an intriguing idea on multiple levels. 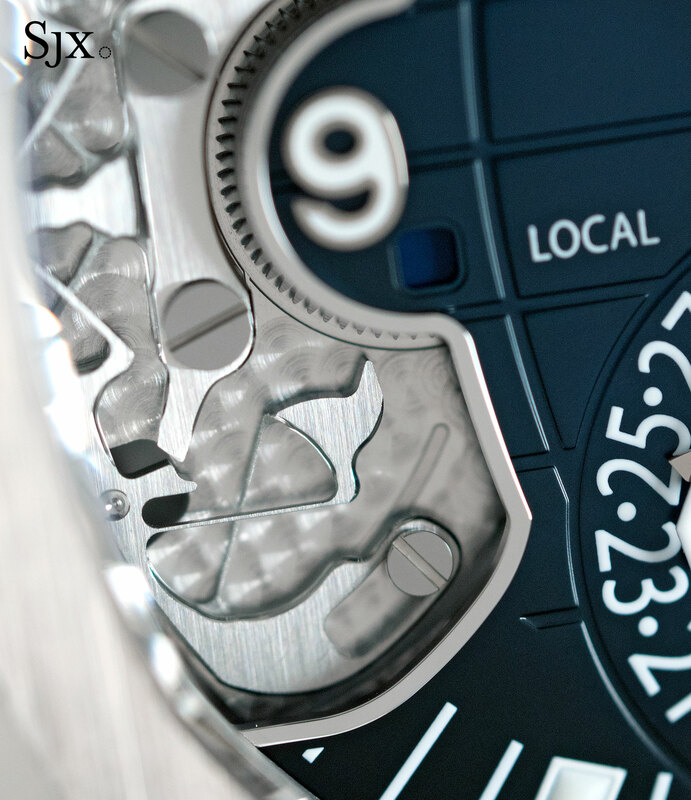 The Aquanaut Travel Time ref. 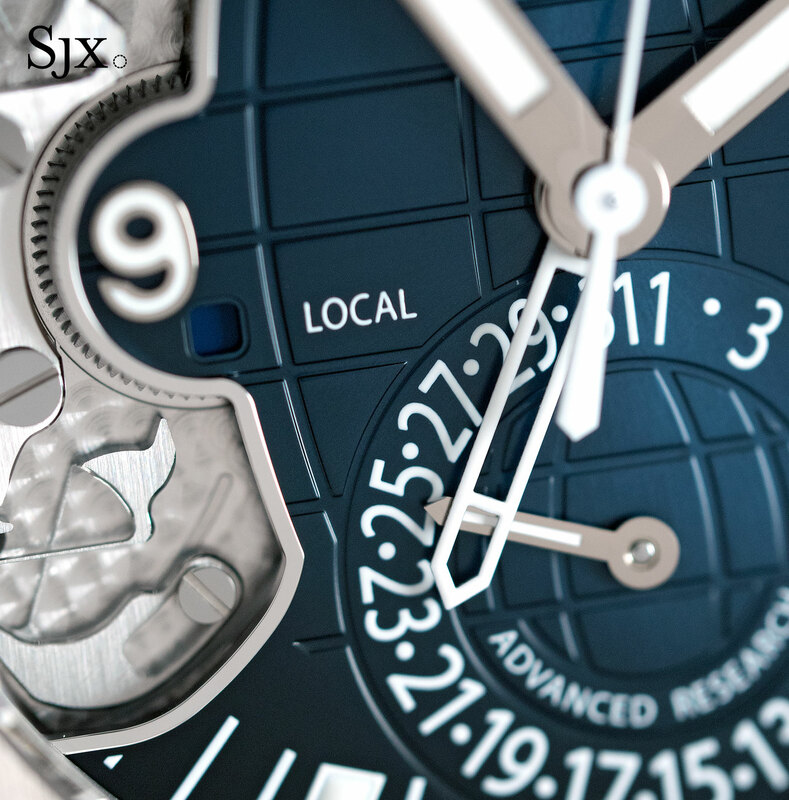 5650 is the fifth in the Advanced Research series of watches – immediately preceded by the ref. 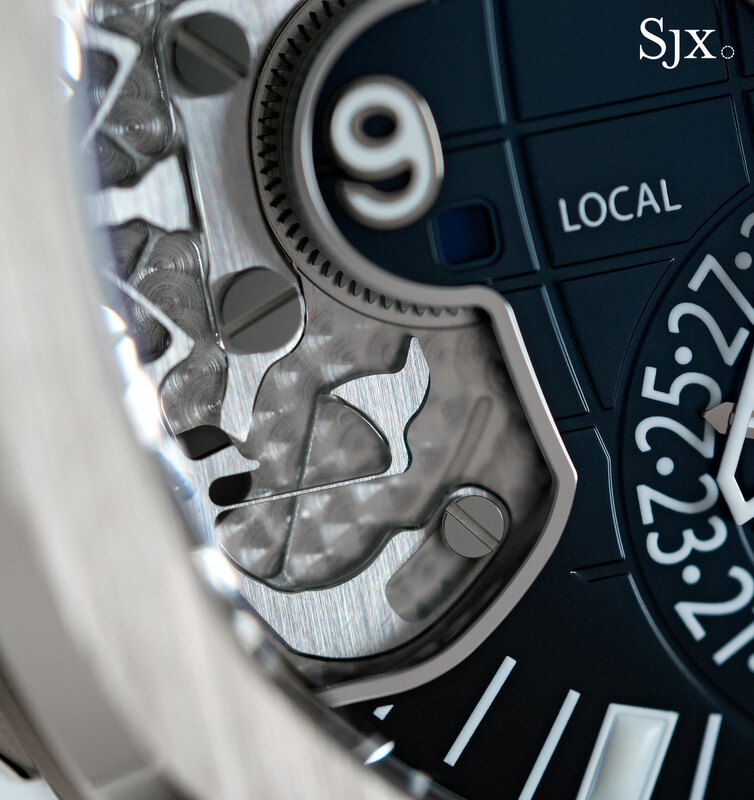 5550P perpetual calendar of 2011 – all of which were limited editions that served as platforms to demonstrate, and test in real life, new movement innovations. 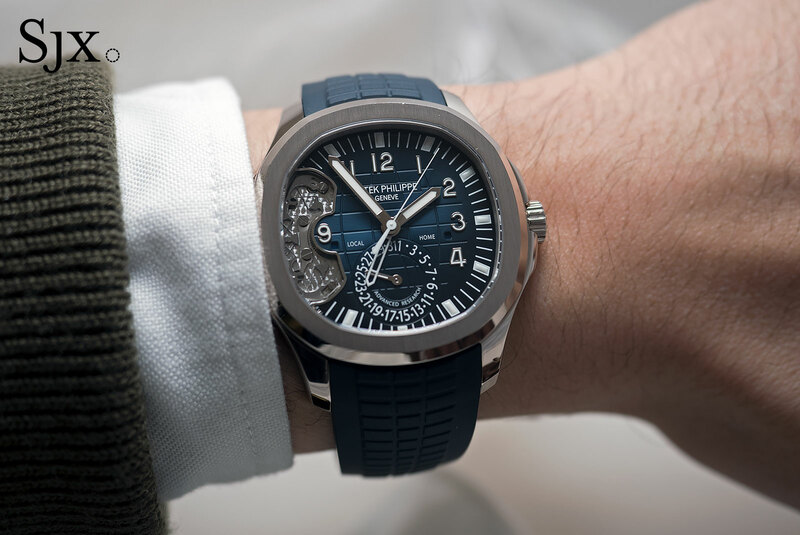 While the earlier quartet of Advanced Research watches were all calendars (three annual and one perpetual), the new Aquanaut uses Patek Philippe’s sporty dual time zone wristwatch as a base. The Aquanaut Advanced Research is equipped with the calibre 324 S C FUS. 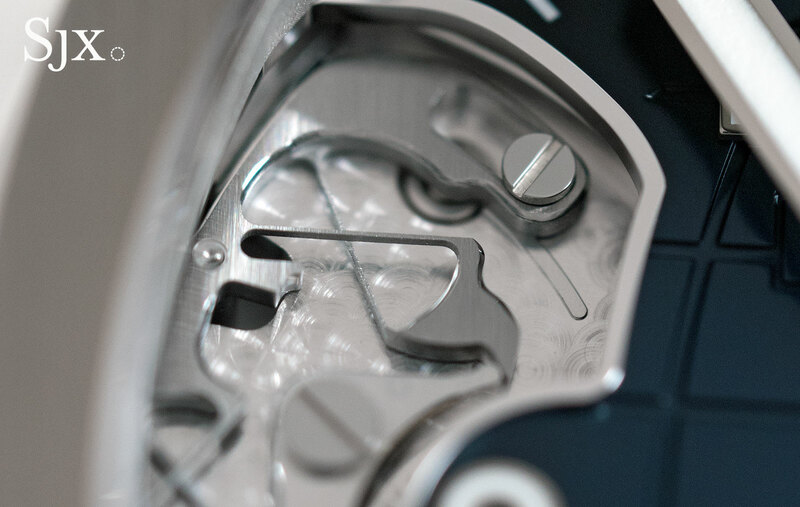 Functionally it is identical to the movement inside the stock Aquanaut Travel Time ref. 5164 (the calibre number is identical), but the Advanced Research version goes about its business in a completely different manner. 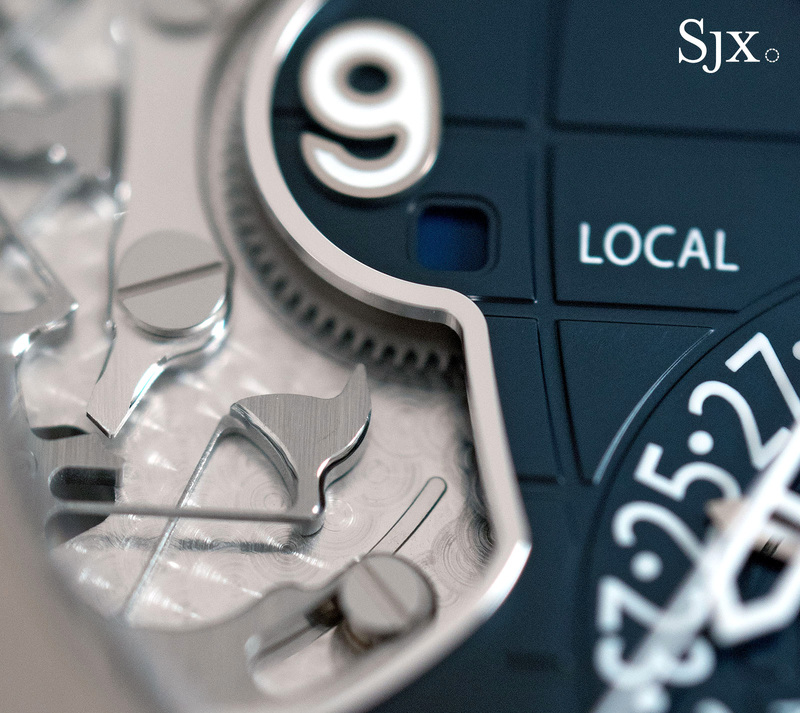 The first innovation rolled out with the new Aquanaut is a reshaped Spiromax hairspring. 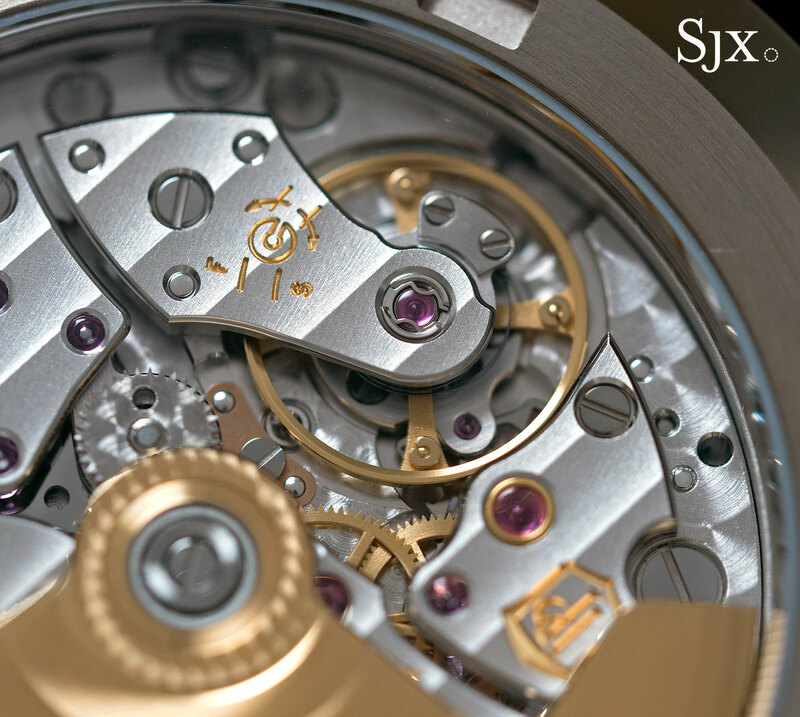 The first silicon Patek Philippe hairspring was rolled out in 2006 with the Advanced Research ref. 5350. 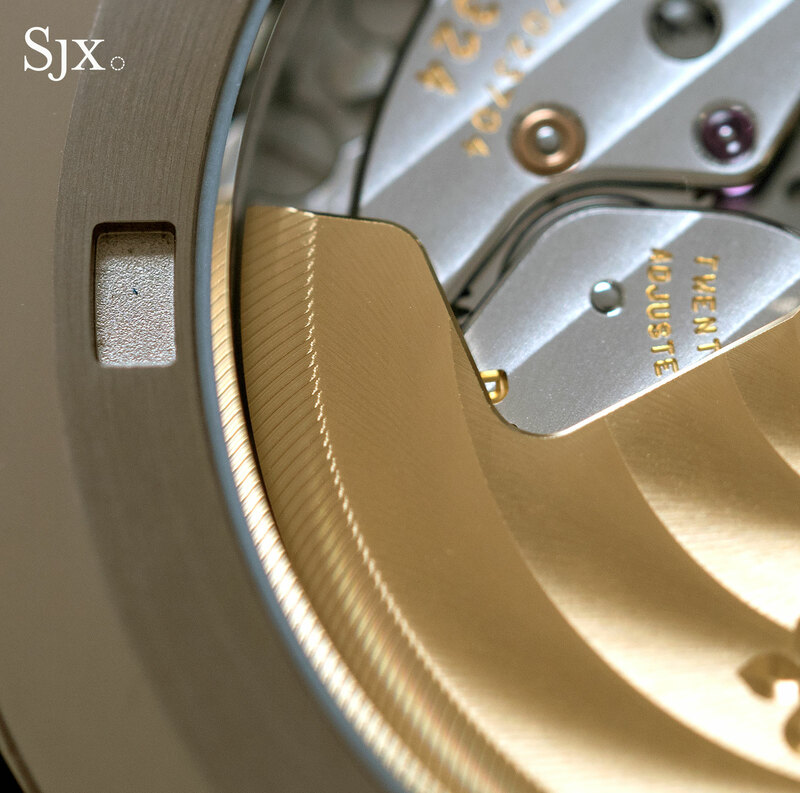 Specifically, the hairspring was made of Silinvar, Patek Philippe’s trade name for silicon covered in a thin oxide layer that serves to render the hairspring immune to temperature changes (which is the same sort of silicon used for almost all such hairsprings across the industry). 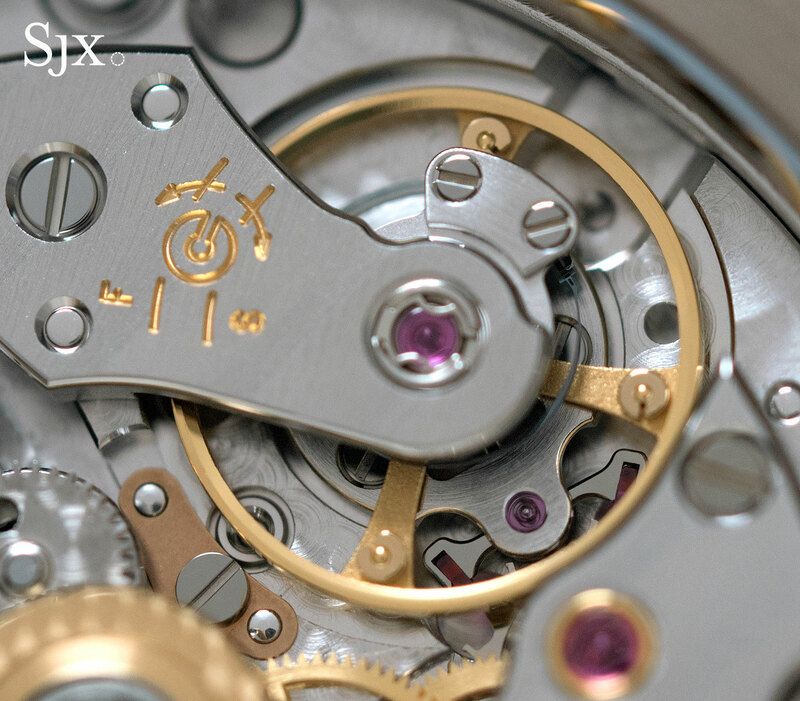 A decade on, nearly all Patek Philippe movements produced today are equipped with the first generation Spiromax hairspring that had a single, outer terminal curve. 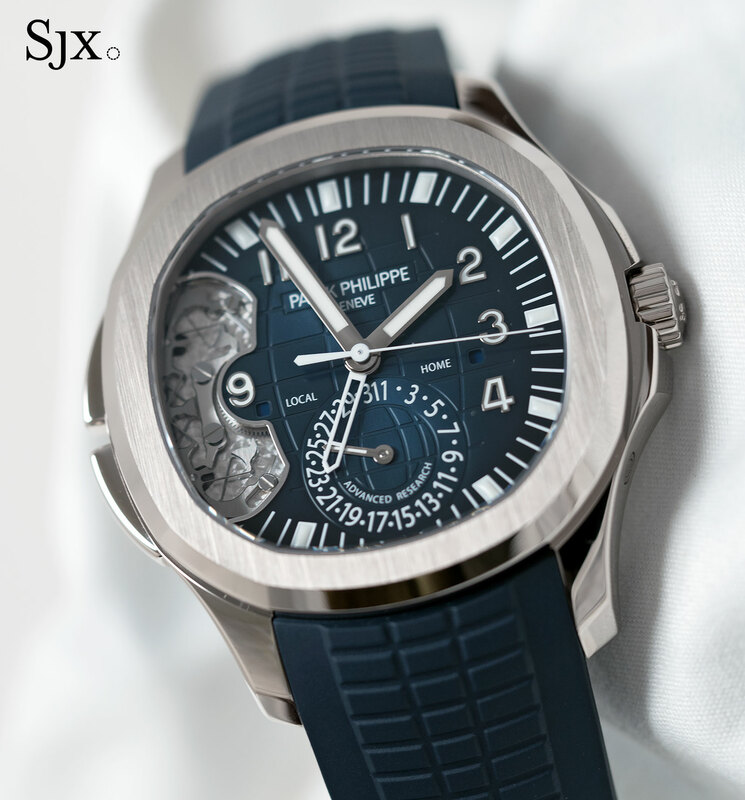 With the Aquanaut Advanced Research Patek Philippe debuts a new and improved Spiromax hairspring with two terminal curves that reproduce the effects of the Grossmann curve (on the inner end of the spring) and Phillips curve (on the outer coil) that are often found in traditional hairsprings of high-end watches. That’s accomplished with slight bulges in the width of the spring on its inner and outer curves, an exceptionally fine adjustment possible only because of the DRIE technique used to make silicon parts. 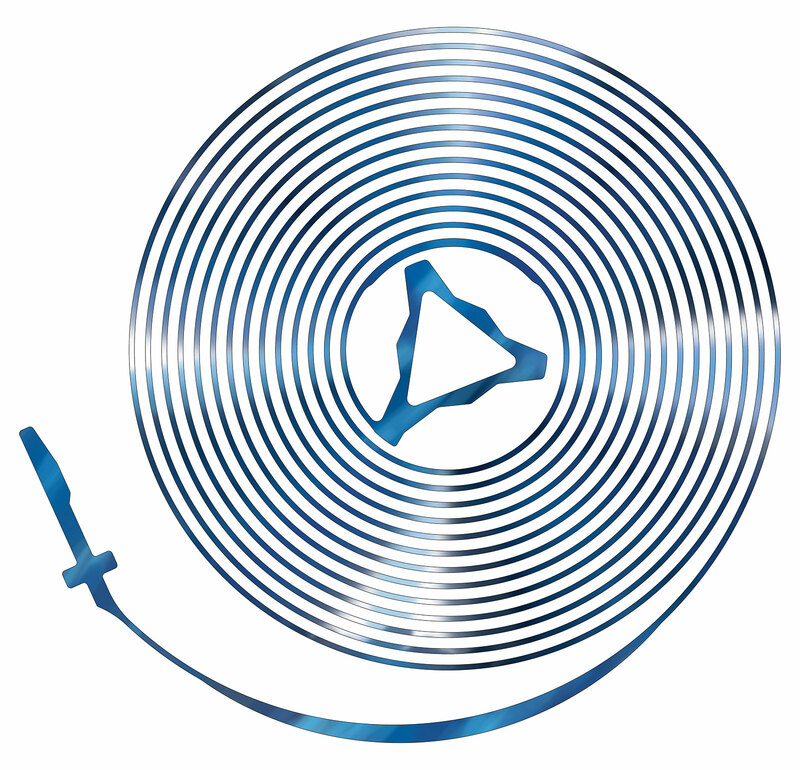 The result is that the second generation Spiromax breathes more concentrically regardless of its position, preserving an unchanging centre of the gravity. 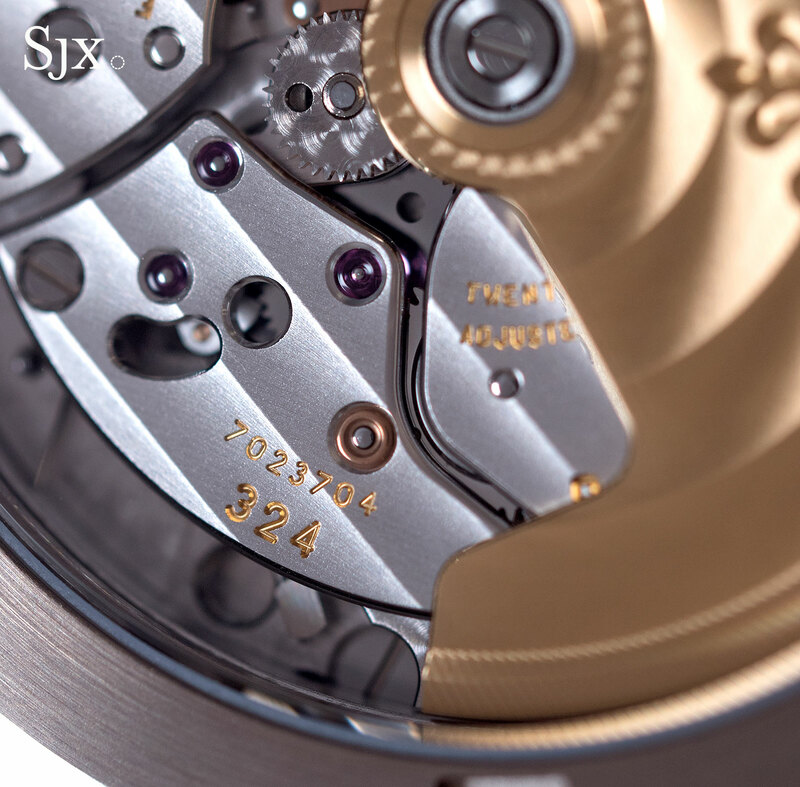 According to Patek Philippe, its conventional movements equipped with the first generation Spiromax are regulated to -3 to +2 seconds a day, but with the new hairspring it’s possible to narrow the deviation to -1 to +2 seconds daily. And unlike a traditional hairspring, the Spiromax is flatter, since there is no overcoil, and also easier to install, needing no adjustment. The second technological advance in the Aquanaut Advanced Research is the compliant mechanism for the Travel Time display. While the ordinary Travel Time mechanism that displays a second time zone is made up of 37 parts, the Advanced Research version needs just 12. 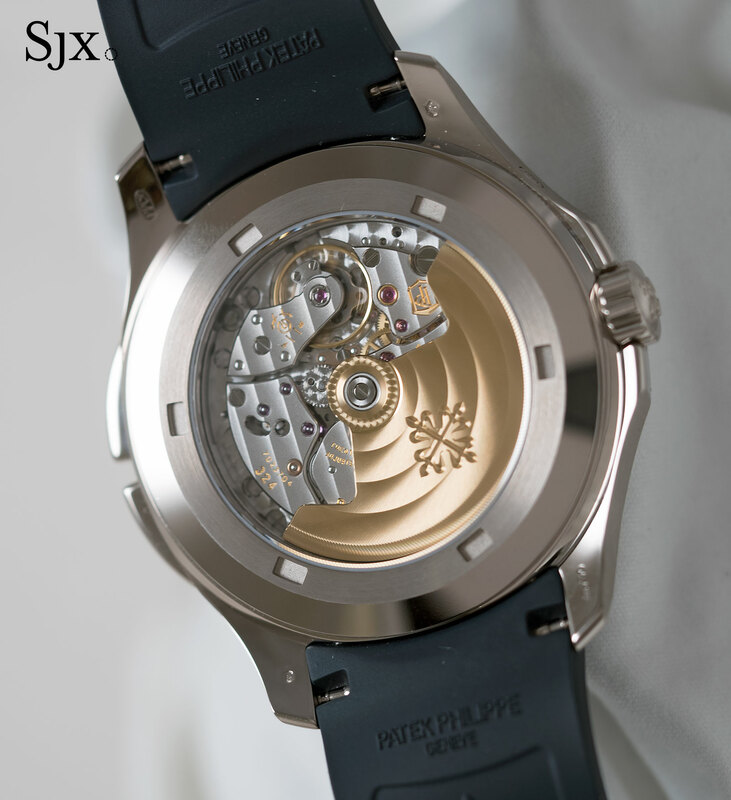 That’s all down to the compliant mechanism, which grew out of the research done by Professor Simon Henein, who occupies the Patek Philippe Chair at the Swiss Federal Institute of Technology Lausanne (EPFL). Compliant mechanisms are articulated, flexible structures that can transfer force but are made of a single, seamless piece (often plastic and made via 3D-printing), a field of engineering that’s still nascent but rapidly developing. 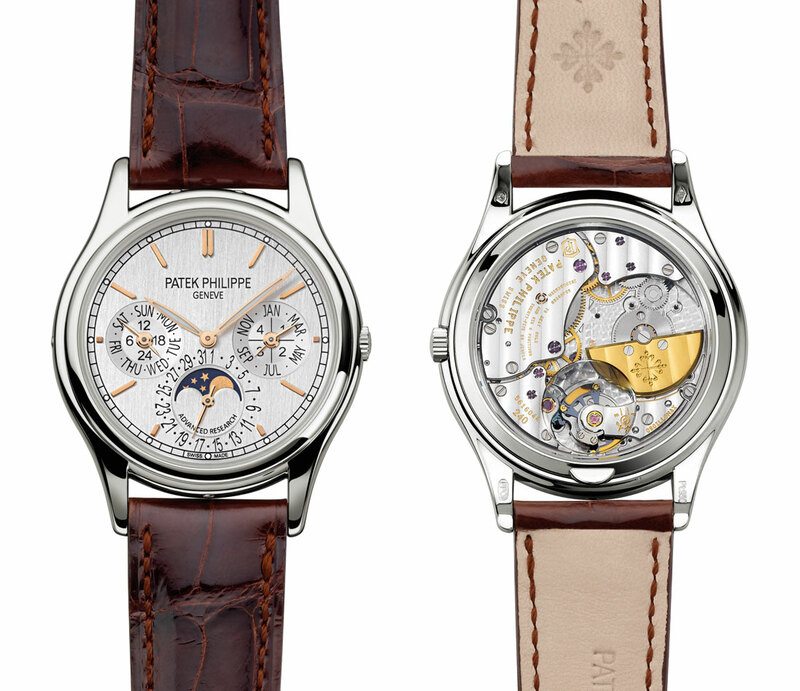 Patek Philippe applied the compliant mechanism to the second time zone display, replacing the traditional network of levers and springs with a crab-like structure with four crossed leaf springs – one pair for the pushers and another pair for the beaks that rotate the gear that moves the second time zone hand backwards or forwards. The entire structure slides and flexes as the pushers are activated to change the second time zone – but it functions with nearly zero friction because the compliant mechanism is a single piece. The component has no joints or pivots, so there are no surfaces that rub against each other, thus eliminating the need for lubrication. 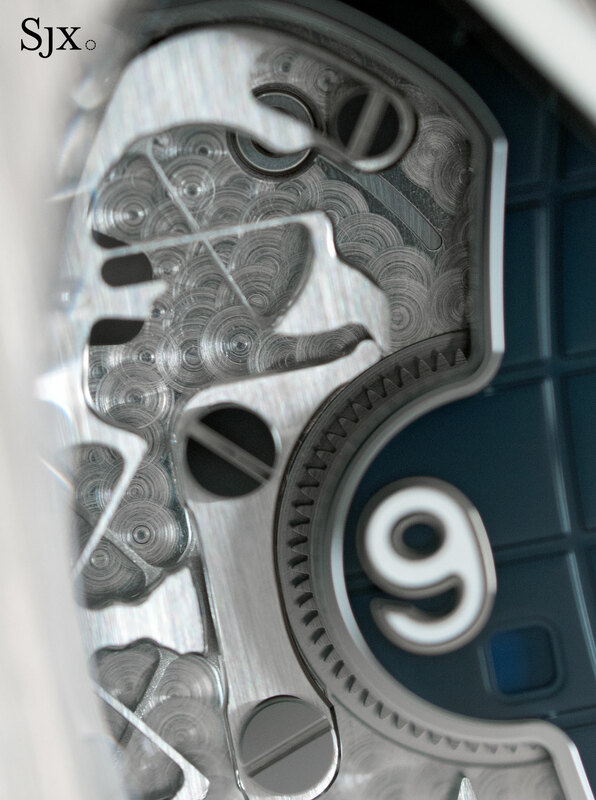 It also uses the limited real estate inside the watch case more efficiently: the compliant mechanism takes up 20% less space and is 15% thinner. And of course no assembly is needed since it is one piece – only four screws are needed instead of 10 in the conventional Travel Time mechanism. The compliant mechanism for the second time zone feels distinctly different from that on the conventional Travel Time, though not by a large margin. The new mechanism is smoother, with less of a hard “click” when it engages and the second time zone hand jumps. That might be just due to the particular prototype that was on show at Baselworld; the final production pieces that arrive later in the year will be definitive. 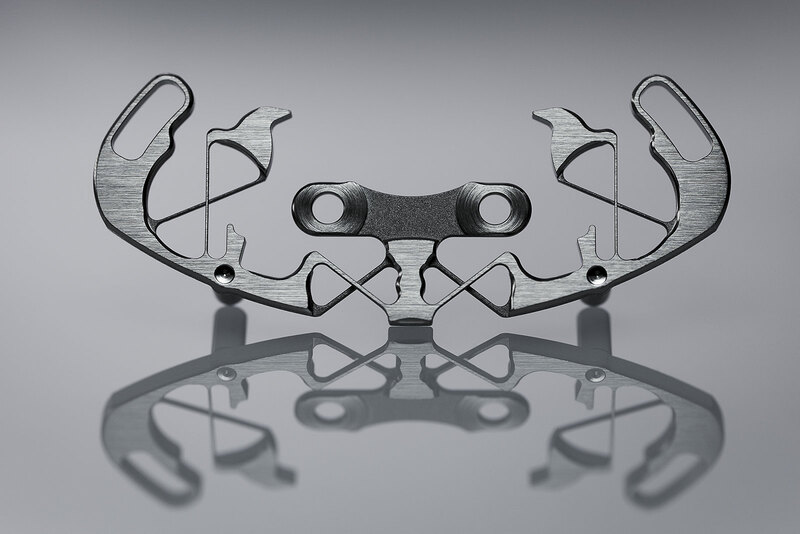 While compliant mechanisms in other fields are often speedily produced on a 3D-printer in plastic, the compliant mechanism in the Aquanaut Travel Time is milled out of steel on a CNC machine. The machining required to produce the compliant mechanism is complex, especially for the arms that cross but do not touch. 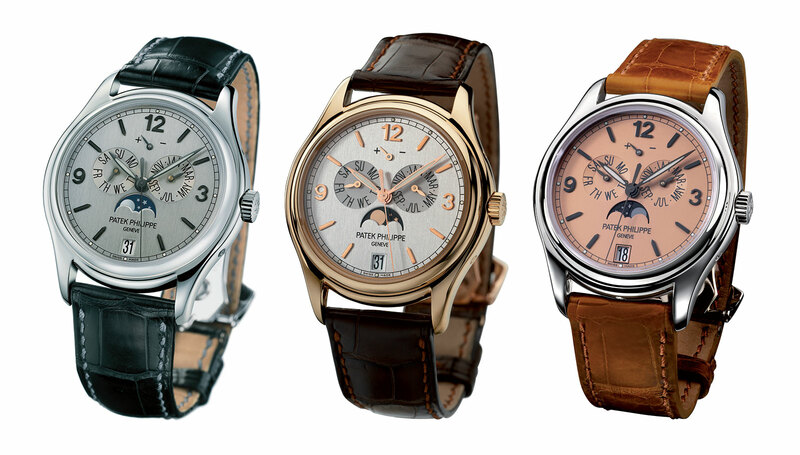 Producing the component in steel allows Patek Philippe to apply conventional finishing techniques to the compliant mechanism, leaving it with straight-grained surfaces and bevelled edges. Patek Philippe is rightly proud of the compliant mechanism, in the conception, production and finishing, which is the reason the dial has a cut-out to reveal the mechanism in all its glory. Unfortunately that design choice has been widely panned, since in it interrupts the dial without warning to expose unfamiliar looking mechanics. 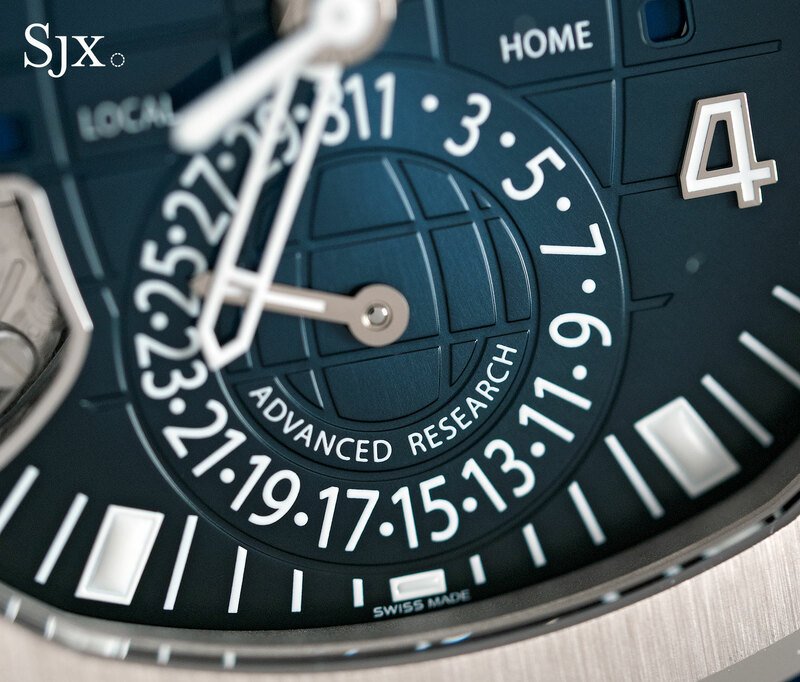 In any case, the Advanced Research watch is a limited edition, a concept watch of sorts if you will, which means the open-dial is not likely to be repeated. 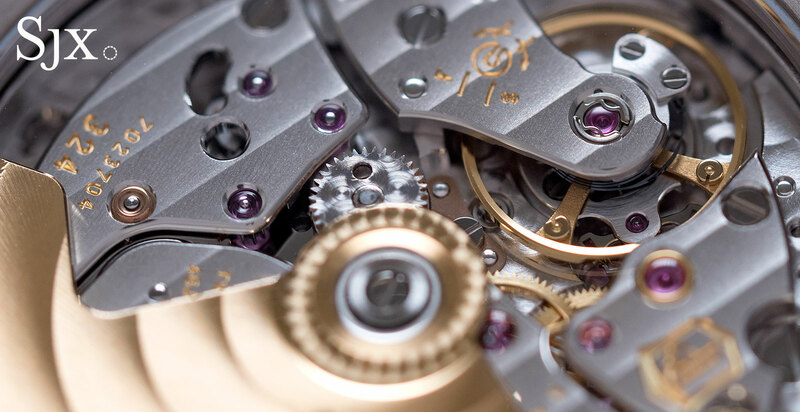 Philosophically the compliant mechanism is intriguing because it simplifies the second time zone mechanism, running counter to the inclination towards complicated movements that’s common in high-end watchmaking. While the time taken to produce the mechanism on a milling machine is lengthy, it significantly cuts the time needed for assembly and adjustment. In that respect it is similar to the use of silicon in the balance or escapement, which eliminates the need for regulation and tweaking these crucial components. But while the escapement parts are vital – the heart of the movement as the cliché goes – they are small and hard to observe. The compliant mechanism for the second time zone is bigger and somehow feels like more technology is being injected into the watch. Imagining what is possible with other complications featuring compliant mechanisms is even more intriguing. What of a chronograph that does away with springs and levers? 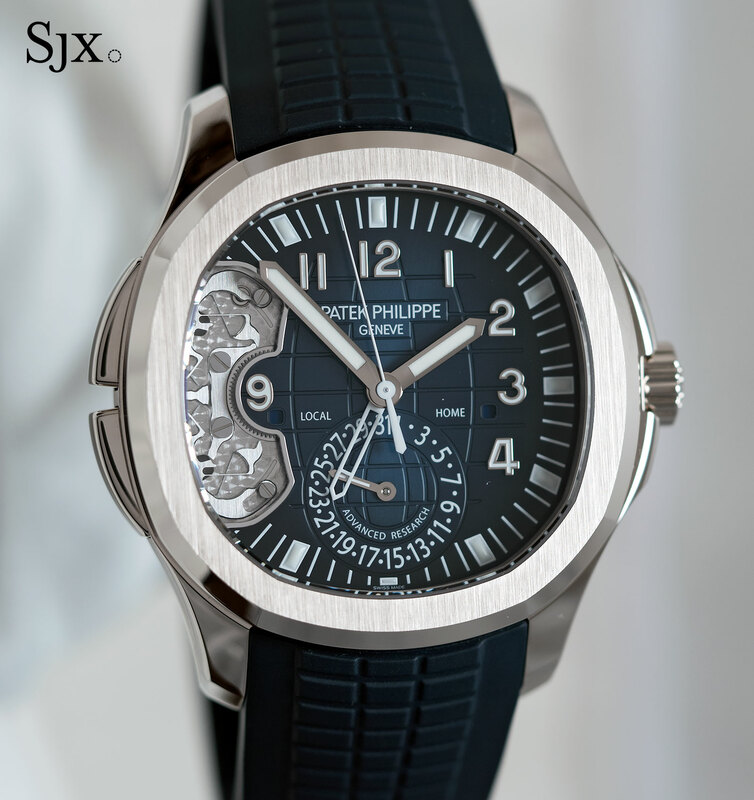 The Patek Philippe Aquanaut Travel Time Ref. 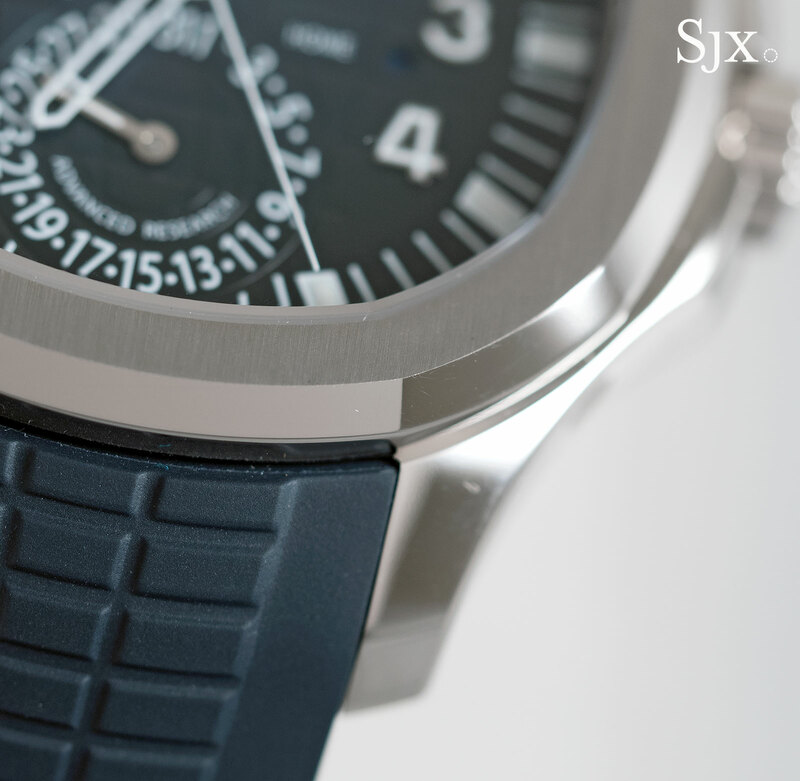 5650G Patek Philippe Advanced Research is a limited edition of 500 watches in white gold. Available later in 2017, the ref. 5650G will be priced at SFr52,000 or S$77,700.